Senior midfielder Servi Barrientos may have finished his soccer career with Lasell, but he is not done working in soccer just yet. He first began his soccer career in Guatemala City, where he is originally from, until he moved to the smallest state in America when he was 11-years-old with his younger brother. “I took advantage of the opportunities I was given when my brother and I came here,” said Barrientos. describes their mission statement as “facilitate the development of Rhode Island’s disadvantaged youth through after-school tutoring and soccer-related programs”. Their goals include fostering opportunities through the employment of a nurturing after school environment, academic tutoring, health/nutrition information, exercise, and safe facilities, while exposing the children in the program as well as their families to ways of healthy living. Barrientos is the first alum from the program to go on to a private high school. He went to Rocky Hill High School as he continued playing soccer at Community College of Rhode Island and then eventually ending his career with Lasell. This summer Barrientos will travel to Guatemala where he will conduct his own research in hopes to bring a program similar to Project Goal. Depending on what he discovers while down in Guatemala will help him decide if his program would be education only, soccer only, or incorporate both. While spending time there he plans to teach English to children and spend time with his mother and her side of the family. He has not seen his mother’s side of the family since 2011. 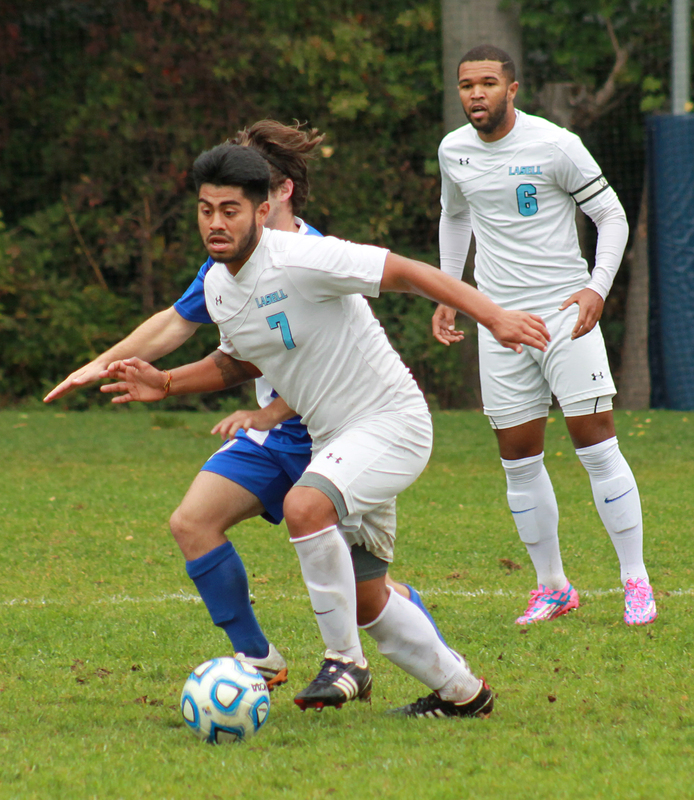 During his two-year career with Lasell, Barrientos tallied four goals, 10 assists with a total of 18 points. Before going to Guatemala, Barrientos will first walk across the stage, where he once played soccer on, with a degree in Sports Communication.